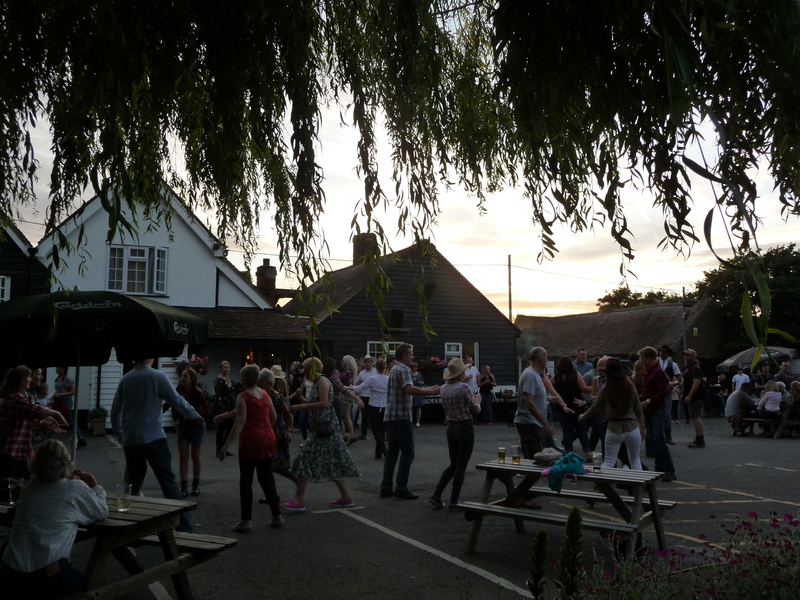 Barn Dance at The Plough and Sail, Paglesham. 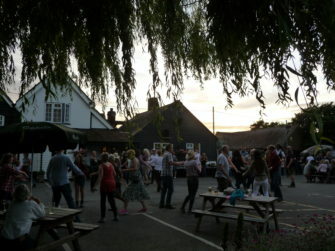 After returning from my visit to the sea wall, I saw that there was an event on at the Plough and Sail, with many people drinking outside, a full car park in the field, and a gazebo with a drum kit underneath it. Well, I’d made a few recordings so that was obviously rewarded with a pint of Wakering Gold. After making use of the facilities, and standing next to a 6+ foot man in tight shorts, boots and cowboy hat at the urinal, I made my way out in to the car park, to find some dancing in full swing. It didn’t take me long to notice the compere, who turned out to be someone I knew, Keith Baxter. The band playing were also people I knew, the Famous Potatoes…well, what a stroke of luck! During the next break, I had a chat with Keith and he agreed to let me record. So, it is he that you can hear giving instructions in this clip, and no prizes for guessing who plays the accompanying tune.